As Igniting Africa and the School of Christian Social Entrepreneurship look to educate entrepreneurs for the 21st Century, they are turning to the expertise of leaders and teachers such as Kanjo Etienne Shey. 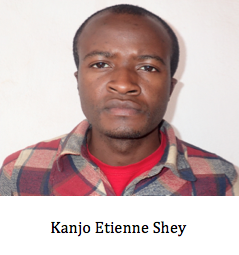 Kanjo brings a wealth of experience in renewable energy and energy efficiency technologies to the School, which he joined in February 2015 as a renewable energies developer. Prior to this, he worked with a community development organization, Rural World Resources International (RWRI), training other technicians and carrying out projects in solar, biogas and biomass power. Most of his renewable energy work focuses on solar (photovoltaic and solar thermal), biogas and biomass power, and micro hydropower. Training and coordination of interns – While at Rural World Resources International, Kanjo trained and coordinated the activities of undergraduates from Bamenda University, Catholic University of Bamenda, and National Polytechnic Bambui. The internships were in the field of solar energy, and lasted for two to three months each year. Solar photovoltaic and solar thermal power – Kanjo has built many solar home systems, including systems in the Mankon Palace and the Mount Zion community health center in Tingoh. He also has built numerous solar backup systems in the town of Bamenda. Famous among them is the 10 kilowatt backup system at Hot Cocoa Community Radio in Bamenda. 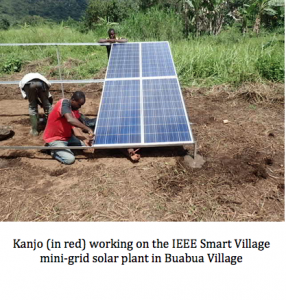 He is one of the technicians who proudly assisted with the 6 kilowatt solar plant in the village of Buabua in Northwest Cameroon, thanks to support from IEEE Smart Village and the Torchbearer Foundation. Under the organization Cameroon Whiz Kid, Kanjo designed and built a solar heating system for homes in Ndu, the coldest place in Cameroon. Being a prototype, the technology was then open sourced. His solar cookers, ovens and dryers can be seen on the exhibition ground of Cameroon WhizKid in Ndu. Biogas systems – Various biogas systems have been built by Kanjo based on the SNV (Netherlands Development Organization) GC-2013 model. These are mostly 6m3 systems for domestic cooking. One can be seen opposite Ndama Hotel in Chomba village, on the outskirts of Bamenda. 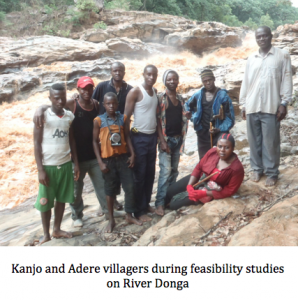 Hydro power feasibility studies – Before and during his involvement with Torchbearer Foundation, Kanjo has done several feasibility and pre-feasibility studies around the Northwest region of Cameroon. Among them, the Aswanjway fall on the River Mezam, at Alamandom, 15 kilometers west of Bamenda, as well as pre-feasibility studies on the River Donga between Cameroon and Nigeria. National Office responsibilities – He is responsible for developing and proposing energy solutions for Torchbearer Foundation projects. 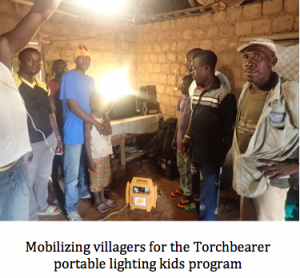 He also mentors at the Torchbearer School of Christian Social Entrepreneurship in Bamenda, training young underprivileged children in renewable energy. He is responsible for infrastructural work in Torchbearer facilities, particularly water provision. Hobbies – Kanjo loves nature, reading, horticulture, travel, movies and interacting with people of other cultures.